Waterloo, Iowa – On June 22, 1964, Ira “Speed” Chumley died after suffering a heart attack while driving on old Highway 218 just north of Washburn, Iowa. Chumley was 59 years of age. For the northern Iowa auto racing community, it was a tough blow. 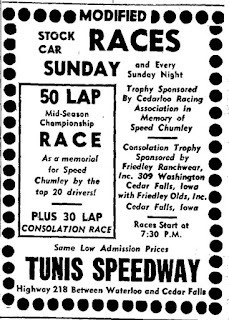 Chumley not only raced and owned cars, but along with Judd Tunis, was instrumental in getting Tunis Speedway started in 1948. It was Chumley who convinced Tunis that Waterloo needed a quarter-mile race track. Chumley was so well respected in racing circles he was twice elected president of local racing clubs. In the mid 50’s, Chumley was elected president of the Hawkeye Racing Association and in the early 60’s, he was head of the Cedar-Loo Racing Association, a position he held until his death. To honor Chumley’s memory, Judd Tunis decided that the mid-season championship at Tunis Speedway would carry a new name. 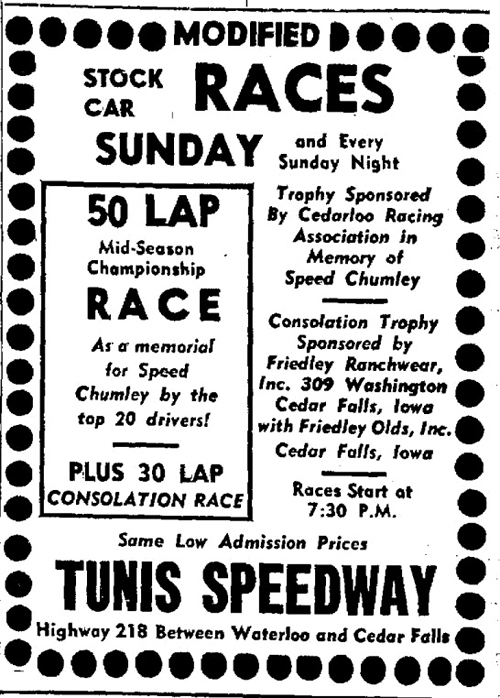 On Sunday, July 12, 1964, the first annual Speed Chumley Memorial took place at Tunis Speedway. A capacity crowd of 6,649 watched Lu Vern “Red” Droste of Waterloo, dominate the evening’s program. Droste, the current point leader, started on the pole and led all 50 laps, winning in record time. In winning his seventh feature of the year, Droste lowered the quarter-mile record for 50 laps from 15 minutes and 50 seconds to 15 minutes and 24 seconds. Mert Williams of Rochester, Minn., finished a distant second to Droste and Verlin Eaker of Blooming Prairie, Minn., took third. Lee Kunzman of Guttenberg, Iowa, grabbed fourth and Bill Zwanziger of Waterloo, rounded out the top five. John Connolly of Delhi, Iowa, set a new 10-lap heat record, winning in 3 minutes and 2 seconds, besting the old mark of 3 minute and 4 seconds. 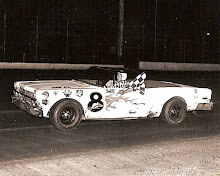 John Connolly would win the second annual Speed Chumley Memorial on July 11, 1965. Like Droste the year before, Connolly, the current point leader, started on the pole and led all 50 circuits. Droste, who started alongside Connolly, held second place for the first 35 laps before developing mechanical issues and dropping back, where he finished in fourth place. Verlin Eaker slipped in when Droste fell back and took runner-up honors. Mert Williams, Droste and Charlie Moffitt rounded out the top five. Joe Wurst of Blooming Prairie, Minn., was a double winner, copping the first heat and the consolation. Charlie Moffitt may have been second in the point standings behind Red Droste, but that didn’t deter the Stanwood, Iowa, driver when the green flag dropped on the third annual Speed Chumley Memorial on July 17, 1966. Moffitt roared to the lead and never looked back in winning the 50-lap mid-season championship. The victory was a popular one with the 5,300 in attendance. Droste would settle for second (but still maintain his point’s lead) while Mert Williams would grab third place. Roger Klingfus and Gale Card, both of Waterloo, won heat races as did Verlin Eaker. Ty Barger of Cedar Falls, Iowa, won the 35-lap consolation. The fourth annual Speed Chumley Memorial produced its fourth different winner as Cal Swanson of Reinbeck, Iowa, copped the 50-lap mid-season title on July 16, 1967. Bob Hilmer of Dysart, Iowa, finished second after dueling with Swanson for the top spot. Point leader Red Droste led the first 35 laps of the race and appeared certain of victory when his engine overheated and he was forced to the sidelines. Chub Liebe of Oelwein, Iowa, took third behind Swanson and Hilmer with Mert Williams in fourth and “Big” Tom Hughes of Monticello, Iowa, finishing fifth. You never counted Red Droste out…no matter what. That proved to be the case at the fifth annual Speed Chumley Memorial on July 28, 1968. A crowd of 6,000, the largest at Tunis in nearly five years, watched Droste survive an early-race accident to win the 50-lap mid-season championship. Droste, the point’s leader at Tunis, was involved in a collision with Mert Williams on the second lap of the 50-lap race, momentarily halting the race. According to the rules, any driver involved in an accident, goes to the rear of the field. So, Droste restarted at the rear of the 17-car field. Droste would rally, steadily working his way through the field and eventually getting by Dr. Al Mayner of Winthrop, Iowa, for the lead with 10 laps to go. He would have a half lap lead when the checkers waved. Mayner grabbed second while defending champion Cal Swanson took third. 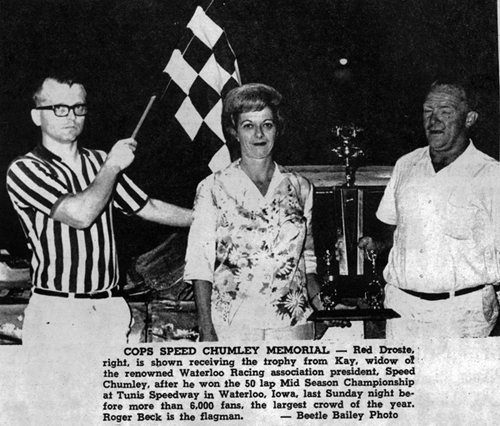 Another new winner graced victory lane for the sixth annual Speed Chumley Memorial on July 27, 1969. A young driver who was quickly making a name for himself, would take the win as 2,446 fans looked on. 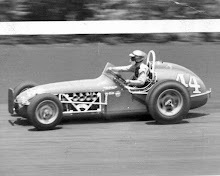 Ed Sanger of Waterloo, Iowa, won the 50-lap mid-season title, his fifth feature win of the season, ahead of his brother Karl, who earned second-place money. Paul Fitzgerald of Rochester, Minn., would claim third place. Both Sangers were also heat winners as was Dave Maxson of Cedar Falls. 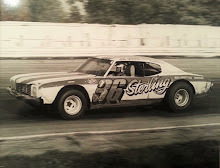 While Red Droste had been the dominant driver at Tunis Speedway in the 60’s, Ed Sanger was quickly cementing his reputation as the man to beat as the 70’s was getting underway. 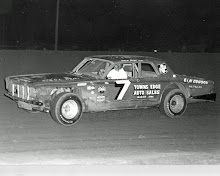 The season-long point’s leader at Tunis, Sanger would successfully defend his Speed Chumley Memorial title, winning the 50-lapper on July 19, 1970. Sanger would have to earn the win, however, as Glen Martin would grab the lead at the start and hold on to it for the first 21 circuits. Sanger, who was playing bumper tag with Martin the whole time, finally got around the Independence, Iowa, veteran and then storm away from the rest of the field en route to a $400 payday. Sanger, driving a 1970 yellow Monte Carlo, virtually ran away with the race after Martin fell out of contention, lapping every car in the 18-car field except runner-up Jerry LeCroy of Des Moines. Waterloo's Bill Zwanziger, who fought off Sanger's lapping effort until the 49th circuit, finished third with Dave Bedard of LaPorte City, Iowa crossing the line in fourth. Karl Sanger of Waterloo and Bill McDonough of Cedar Rapids put on the best show of the feature event, battling side-by-side and bumper-to-bumper for nearly 40 rounds before Sanger finally edged away for the fifth-place spot, leaving McDonough in sixth. If all the other drivers at Tunis Speedway thought “Fast Eddie” Sanger was tough to beat coming from the rear of the field, imagine their disappointment when they saw Sanger sitting on the pole position for the 50-lap feature event of the seventh annual Speed Chumley Memorial on July 11, 1971. Sanger, on the pole for the first time that season, charged away at the opening green flag and was never seriously challenged through the 40 laps as he picked up the $550 first prize. Sanger, the point’s leader at the season’s midway point, inherited the pole because the mid-season championship featured a regular start opposed to the inverted start Sanger was accustomed to during weekly races. The Waterloo ace, who had won five of the eight features, shot into the lead and won going away, prevailing by a quarter lap margin over Stan Stover of Reinbeck, Iowa. Curt Hansen of Dike, Iowa, finished third and Red Dralle of Evansdale, Iowa, took fourth. Roger Kruse of Independence finished fifth – the rest of the 19-car field was lapped by Sanger. A Sanger would win the eighth annual Speed Chumley Memorial, but it was Karl, not Ed, who was in victory lane after winning the 50-lap mid-season title. The only driver to win more than one late model feature at Tunis that season, Karl wasted little time in moving from his front row outside starting position to the lead on the first lap. He would never surrender the top spot, leading all 50 laps, en route to $650 payday - $400 for the win and $250 in lap money. Sanger would win by five car-lengths ahead of Glen Martin – but the distance was deceiving. Twice during the contest, Karl had built up sizeable leads only to have restarts tighten the pack. Early in the race, he was leading by six car lengths when his brother blew a tire, bringing out the caution flag. On lap 34, D. Arthur Nesteby and Dave Bedard tangled, forcing another restart. Curt Hansen of Dike had run second on most of the laps between the two restarts, but on the second restart, Martin slipped by into the spot behind Sanger and Hansen never caught up, settling for third. Stan Stover and Jim Burger of Cedar Falls completed the top five. Curt Hansen had been paying his dues over the last few years and the Dike, Iowa, youngster was starting to see dividends. The hot shoe had won the mid-season title on Saturday at Independence, Iowa, and his good fortune continued on Sunday, July 15, 1973, winning the Speed Chumley Memorial. 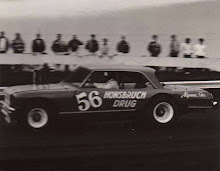 Driving a new Chevrolet, Hansen started on the outside of the front row alongside point leader Stan Stover. Stover jumped out to the lead and led for the first 45 circuits of the scheduled 50-lapper. Hansen would patiently wait for Stover to slip up and with five laps to go, Stover drifted high in between turns three and four, allowing Hansen to slip into first place and eventually claiming the mid-season championship. Stover would recover to take runner-up honors while Karl Sanger, Tom Bartholomew and Bob Hesse, all of Waterloo, rounded out the top five finishers. The 1974 Speed Chumley Memorial, held on July 14, would be marred by a serious accident that left one driver in critical condition and the program cut short for the evening. On lap 38 of the 50-lap late model mid-season championship, the accelerator on Roger Klingfus’ car stuck, causing his car to go off the first turn, through a fence and straight into the pit area. Klingfus’ car collided with Dennis Peters’ parked roadrunner machine, which was parked 100 yards beyond the retaining wall, critically injuring the 20-year-old Peters who was pinned between two race cars. The race was called at that point and race leader Tom Bartholomew of Waterloo, Iowa, was declared the winner. Peters would spend nine hours in surgery at Allen Memorial Hospital. The Denver, Iowa, resident sustained multiple fractures of both legs and severe injuries to the lower body. Klingfus, himself, was treated for shock at Scholtz Memorial Hospital and released. After he and other track officials were able to clear out a throng of curious on-lookers from the roadrunner pits and get the crash victims on ambulances, promoter Claus Stricker met with the 12 drivers still left in the Chumley Memorial, who agreed to call it a race after 38 laps instead of continuing it next Sunday. The roadrunner feature, which was to be run after the 50-lapper, was postponed until the following Sunday. The tragedy-marred victory was one of the biggest wins of Bartholomew's career. The crowd of 2,700 witnessed Bartholomew lead the entire race after electing to start on the pole position. Bartholomew, the point-leader going into the race, had the option of starting at the back of an inverted top 10 order (outside of the fifth row) and gun for a $250 bonus to win or start on the inside of the front row. The 1974 mid-season championship would be the last one billed as the Speed Chumley Memorial. 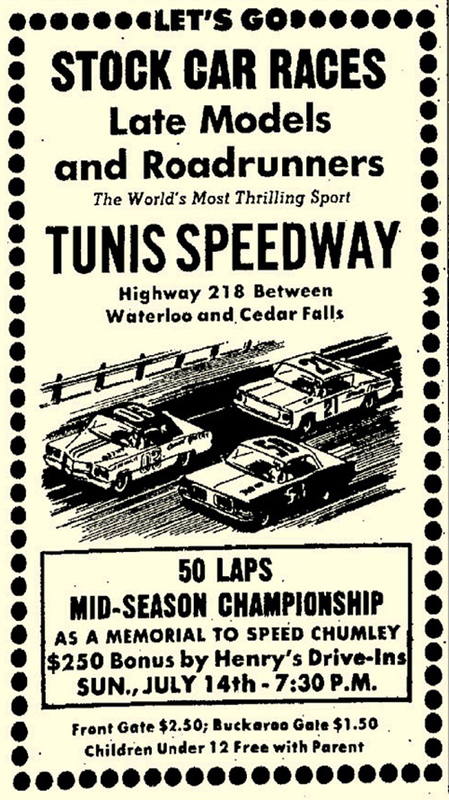 Tunis Speedway would stop weekly racing in 1979.